The pizza’s here are very good. They have a sausage and spinach pizza which has a spicy kick to it. Their Thai chicken pizza is excellent! This eatery in downtown Schenectady is the absolute best place for pizza and wings - there is none better! Many options that never disappoint. If you are in the area, you must check out Isopo's Downtown Slices! Isopo's has fantastic pizza and really great customer service. Never had a problem with an order and everything is always delicious. A nice place to sit to sit down and order from the menu or order by phone and pick-up. I love there pizzas and meatball sandwich. You really can't go wrong. I live in Schenectady and there are many pizza places. 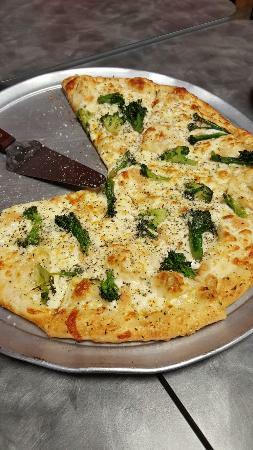 If you like white broccoli with garlic pizza this is the place to go. 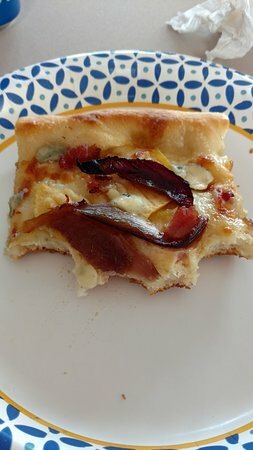 I love this pizza and it's always consistent. Try it. You won't be sorry. I have it twice a month. Get quick answers from Isopo's Downtown Slices staff and past visitors.